An incredible life story written by a truly incredible man. This is a story that defines what makes America so great and undeniably exceptional. Senator Doctorian's story begins with background about his family. "David was born to Armenian parents who became orphans when they were young. His grandparents refused to convert to the Islamic religion and were executed for their faith during the Armenian Genocide. David's father, Paul, 9 years old, was rounded up with other women and children of the village and forced to walk through the Syrian Desert. A Turkish soldier recognized him as the son of a doctor who had cared for his own family and he was pulled from the group, taken to a Turkish family to be a slave. He was beaten and left for dead when he attempted to run away. Found by American Missionaries he was taken to an orphanage in Beirut, Lebanon. David's mother, Mary, 5 years old, experienced a similar story, also being rescued by a Turkish soldier and taken to the same orphanage as his father. There is where they met, grew up together and later married and lived in Beirut." The story ends with Senator Doctorian's Epilogue. However, it would be a disservice for me to not express my concern about the current direction of our country. If our nation wants to be prosperous and healthy, we need to fulfill II Chronicles 7:14 which says, "If my people which are called by my name shall humble them selves and pray, and seek my face and turn from their wicked ways; then will I hear from heaven and will forgive their sin and heal their land." I do believe America's best days are ahead if we seek God's will and follow His direction." And everything in between is awe inspiring. The book is also filled with lots of excellent photographs from early childhood to today, which adds to the impact of this extraordinary story. Senator Doctorian acknowledges from beginning to end that it was by God's guidance and providence that has led him on his "Life Journey." 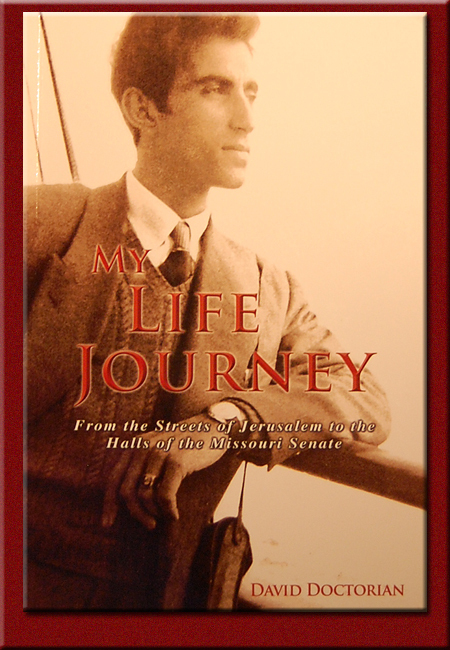 "My Life Journey" is available at Special Days Flower & Gifts and Admired Evergreen, South of Kirksville on Hwy 63. 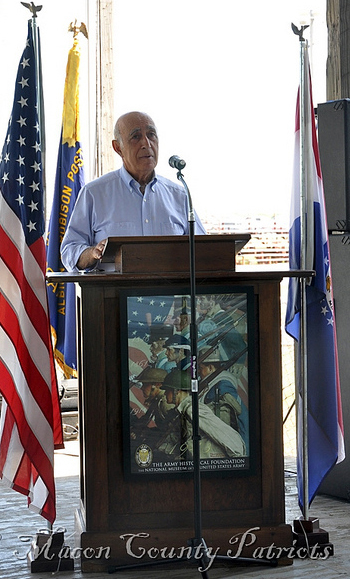 At our July 16 meeting we made mention of the "Freedom Jamboree" to be held September 28-October 2 in Kansas City. I am sorry to report that this event has been canceled. You can find out the particulars at their website, www.freedomjamboree.com.